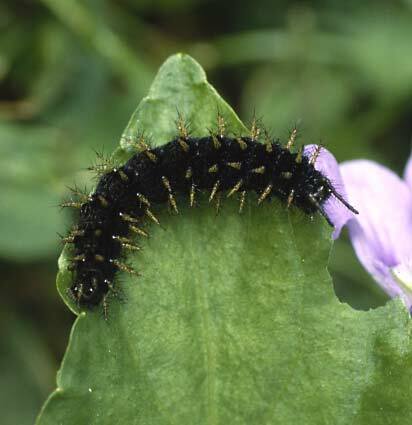 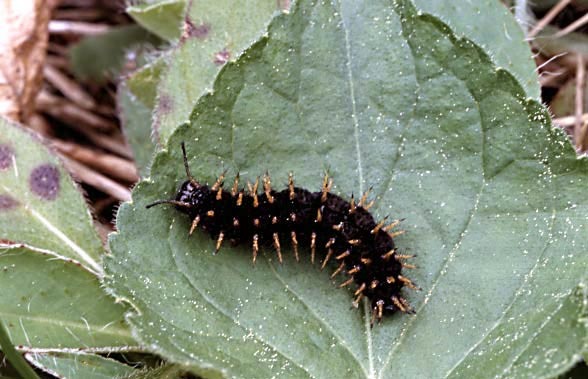 The larvae feed on both Viola species (especially Viola bicolor) and Polygonum bistorta. 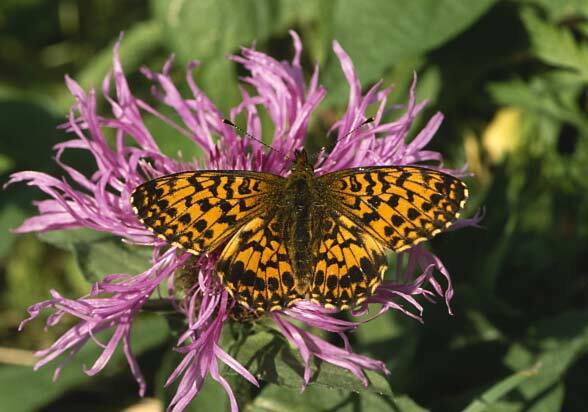 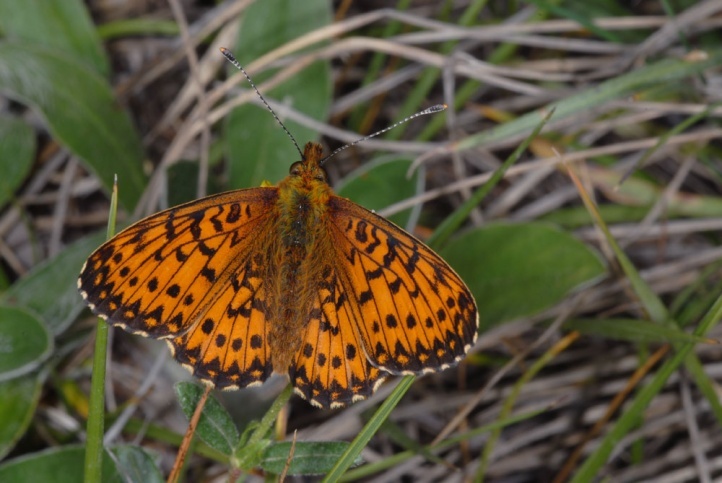 Boloria titania inhabits forest gap systems, fens and other wetlands near forests and mountainous meadows and pastures that are interspersed with spruce trees. 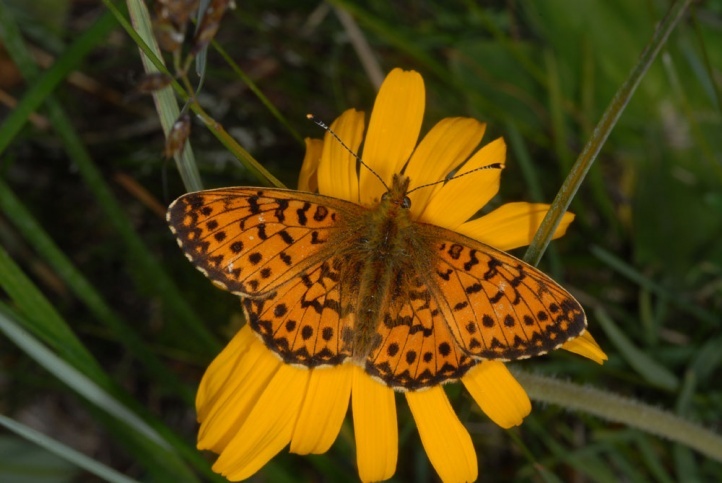 In Germany Boloria titania is common in the Alps, but rarer in the northern foreland and some medium mountain ranges such as the Black Forest. 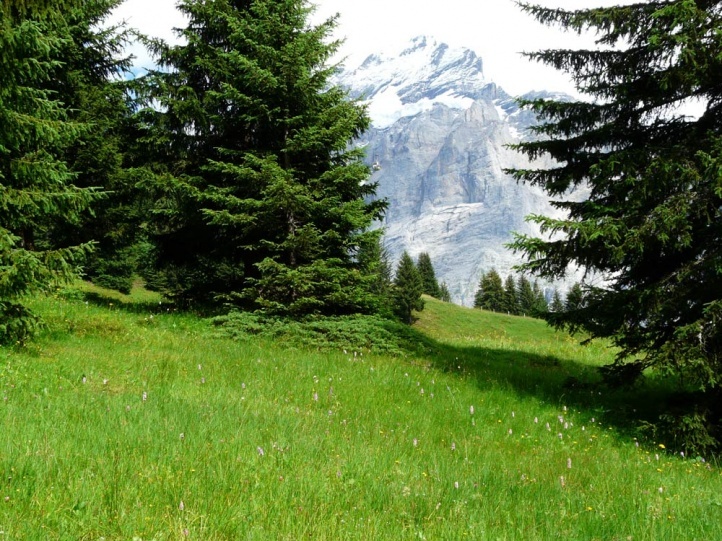 Generally, the habitats are quite humid or consist in a mosaic of humid and drier places. 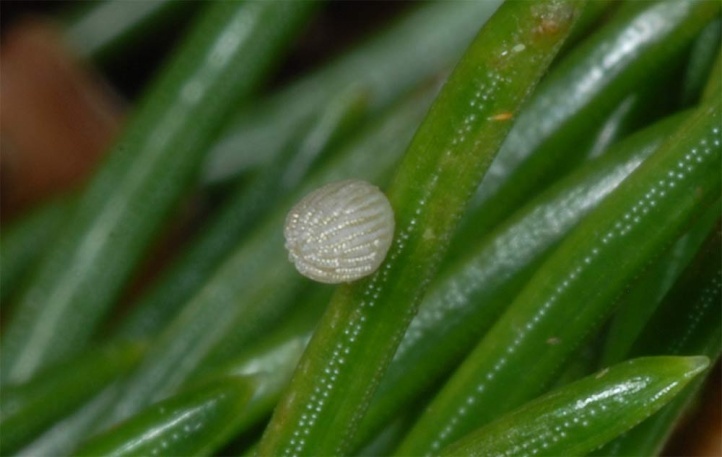 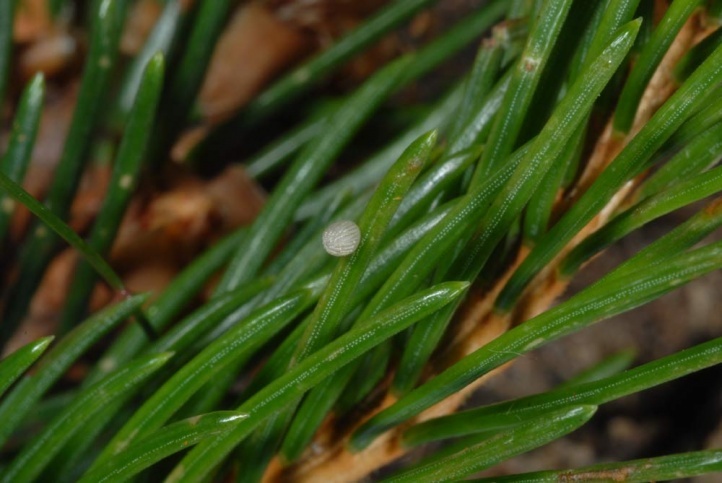 The eggs are laid apparently especially to spruce branches (the needles). 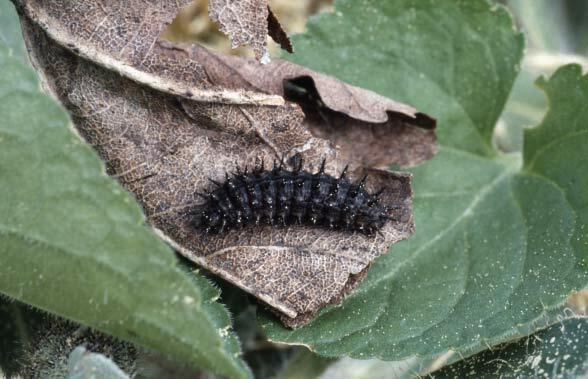 Hibernation takes place as a very small caterpillar (L1). 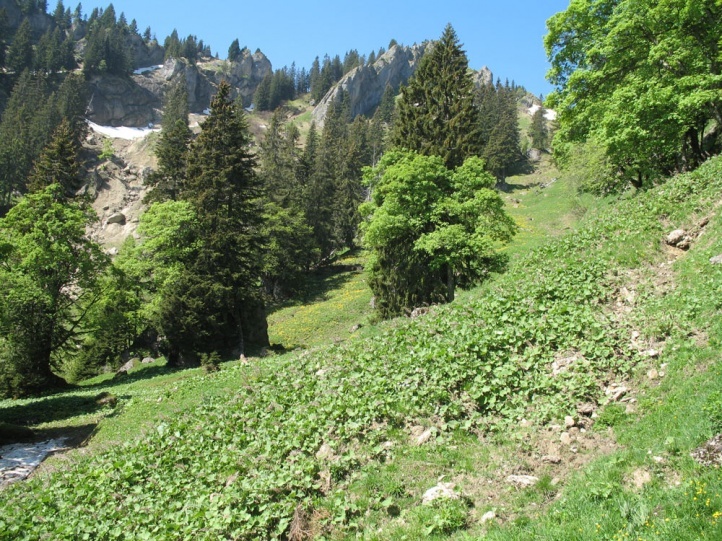 I found hibernated, black caterpillars on Viola biflora in the west Bavarian Alps in about 1500m above sea level in the spring, which is proving the use of Viola species in the Alps (probably even more frequent than the use of Polygonum). 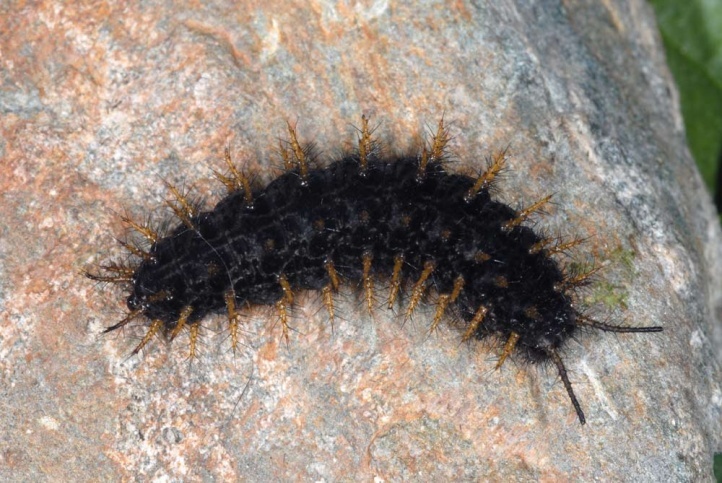 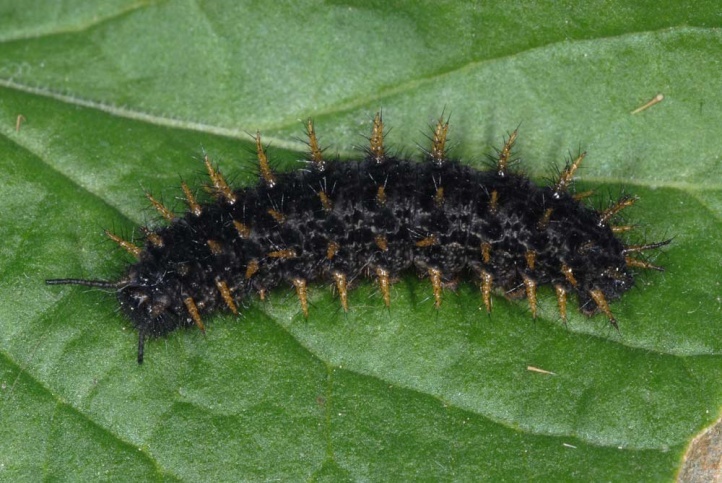 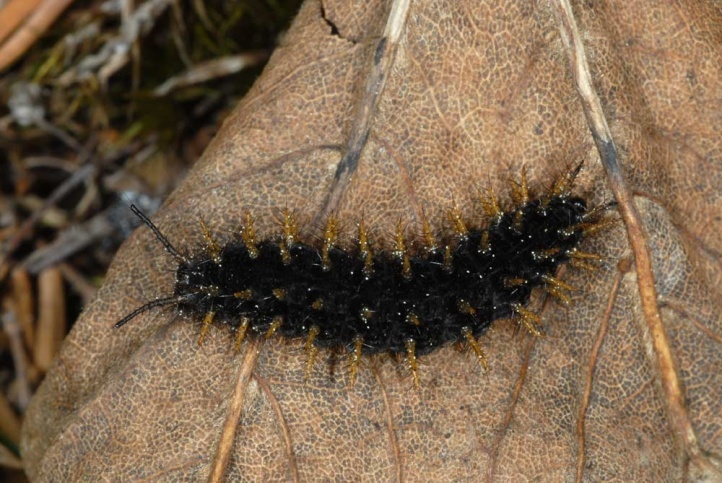 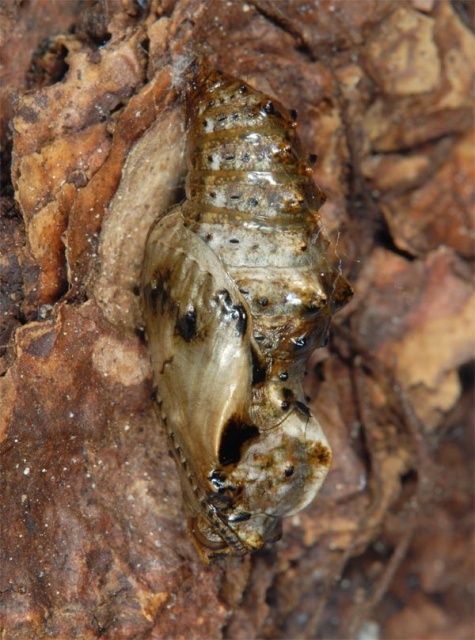 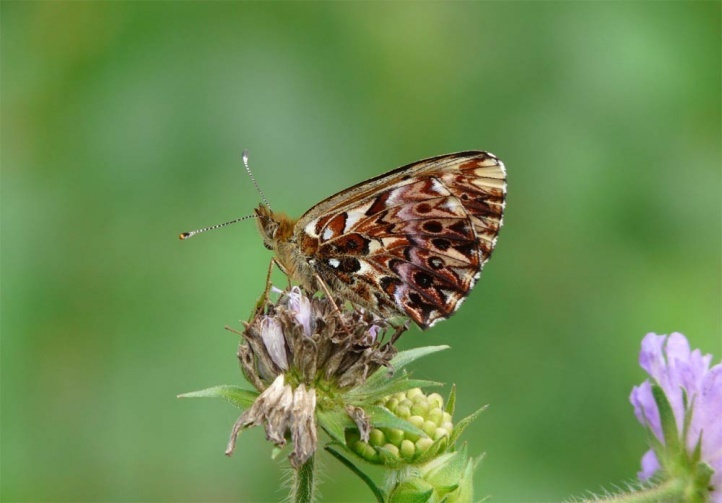 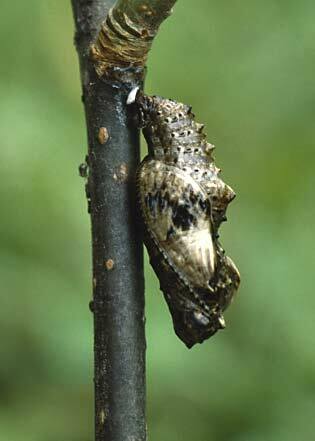 The larvae are mature in June and butterflys are on the wing from late June to August. 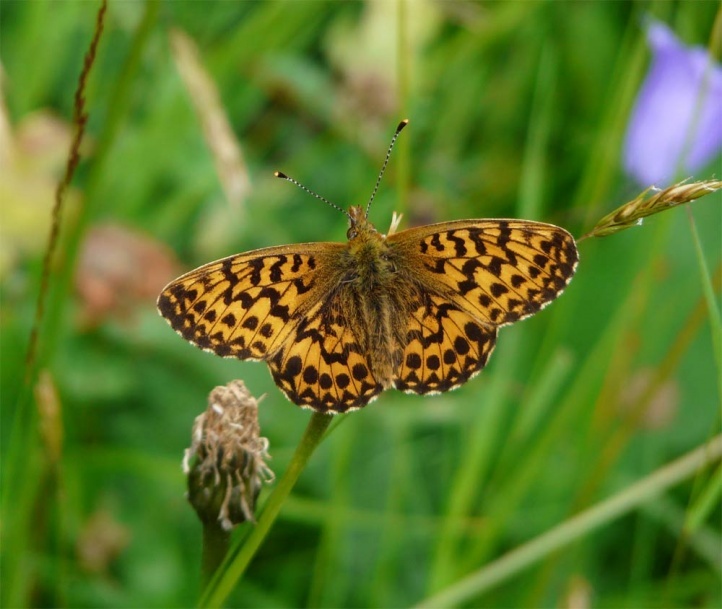 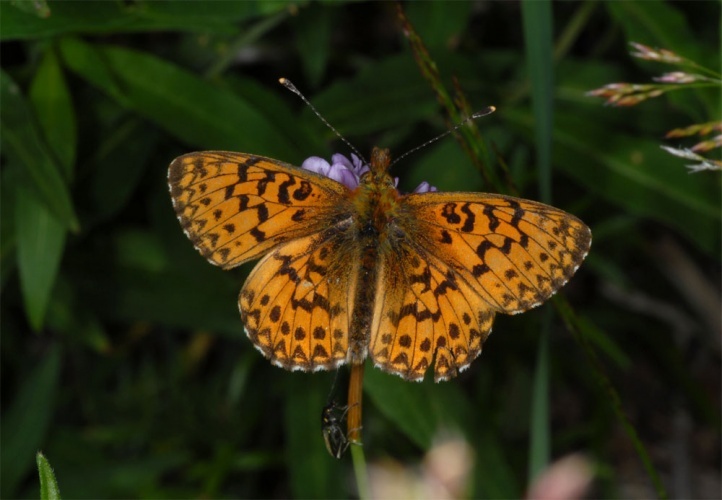 In the foothills of the Alps, Boloria titania is declining due to habitat loss (here especially in the wet meadow/forest mosaics), but in the Alps, it is still one of the most common species of the light woodland zone. 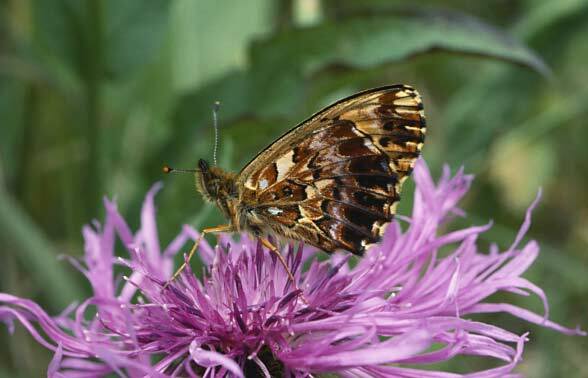 The distribution is Holarctic: Europe, Asia and North America. 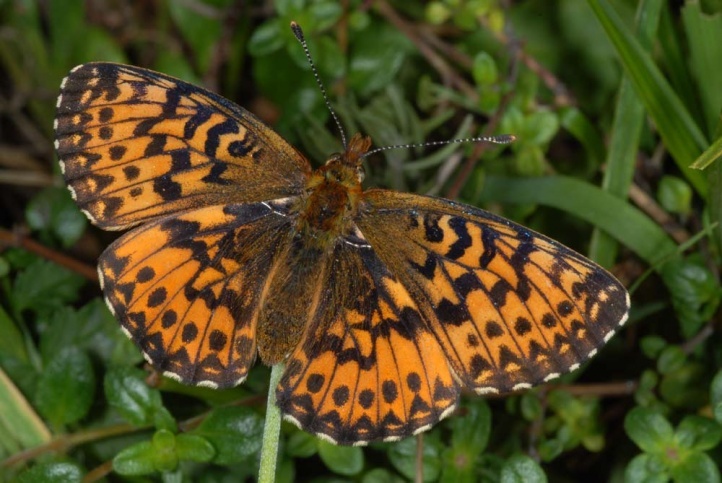 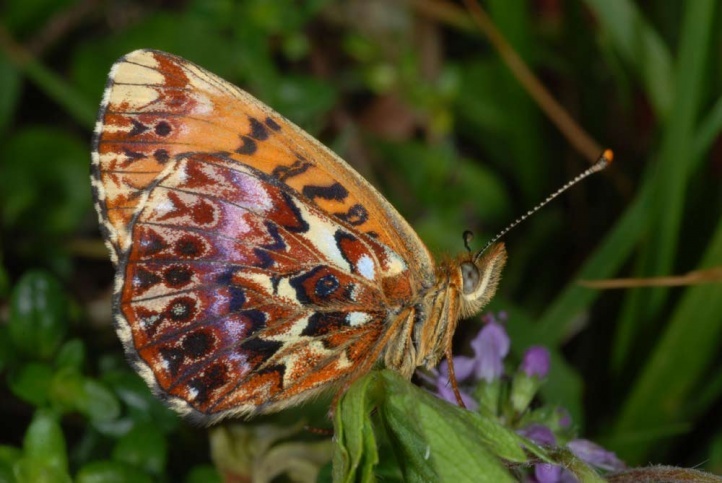 In Europe Boloria titania occurs in the French Massif Central, in the Alps as well as some eastern and Southeastern European mountain ranges and finally from southern Finland and easternmost Poland into the Russian Taiga.